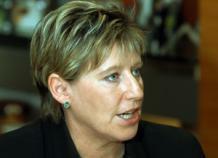 Parliament has passed legislation which Commerce Minister Lianne Dalziel says is "excellent news" for the growth and improvement of infrastructure businesses that are natural monopolies. The Commerce Amendment Bill, which passed its remaining stages under urgency, is a major rewrite of the price control provisions of the Commerce Act 1986. Ms Dalziel said the overall aim was to provide protection for consumers against excessive prices and poor quality for basic infrastructure services such as airports, electricity lines companies and gas pipeline companies. "It will provide greater certainty for regulated businesses and incentives for investing in infrastructure while giving consumers protection," she said. "Overall, most regulated businesses should face lower compliance costs because of greater certainty about the rules and better designed regulatory processes."